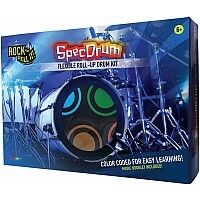 Kids will learn coordination and concentration, and develop a love of music without skipping a beat. 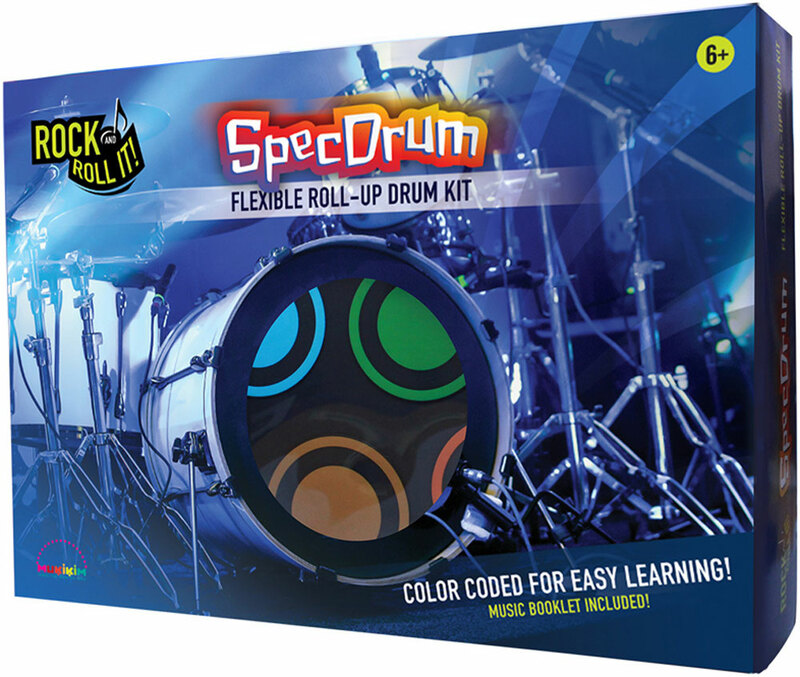 Play-by-color fun includes a rhythm book, instrument tracks, record-and-playback modes, headphones, footpedals and drumsticks. 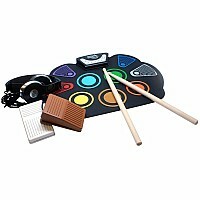 Requires 2 AA batteries, or USB powered.